Tree removal is often the safest way to eliminate hazards associated with sick or vulnerable trees at risk of toppling. While the procedure can offer invaluable safety benefits, it can also pose serious hazards when conducted by someone without the proper training or experience. Here are three of the most common dangers associated with do-it-yourself tree removal attempts. Taking down trees located nearby power lines always poses serious risks without the proper precautions. If the person removing the tree, the tools, or the tree hits the power line, there is the risk of electrocution. The tree can also potentially take down the line and shut off power in the area if removed at the wrong angle. Tree removal requires specialized equipment and techniques as outlined by the Occupational Safety and Health Administration. Those performing tree removal services should always wear head-to-toe protective equipment to lower the risk of injury. They also need the proper training to operate heavy-duty machinery and equipment like cranes and chainsaws. Without the proper training, it can be deceptively challenging to determine which direction a tree will fall. Experienced arborists know how to make specialized indentations to coax the tree in the right direction. 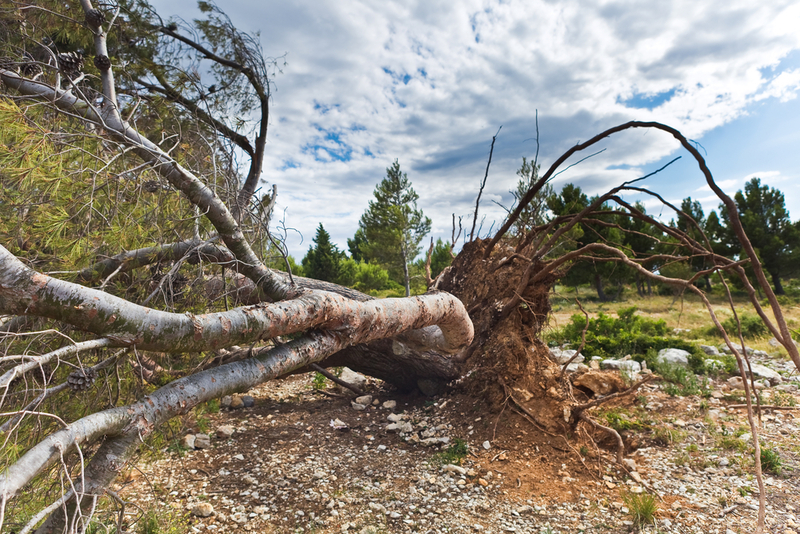 Any wrong move can result in a tree landing on someone’s property, a power line, or worse. To prevent issues, always consult a licensed and insured professional to tackle tree removal. If you have a tree on your property that needs removal, consult the experts who can help. The experienced arborists from Lone Pine Tree Service in Valley Springs, CA, offer the high-quality hazardous tree removal services locals rely on. For over 20 years, they have helped residents stay safe. To learn more information about their services, visit the business online, and call (209) 772-3411 to schedule an appointment.